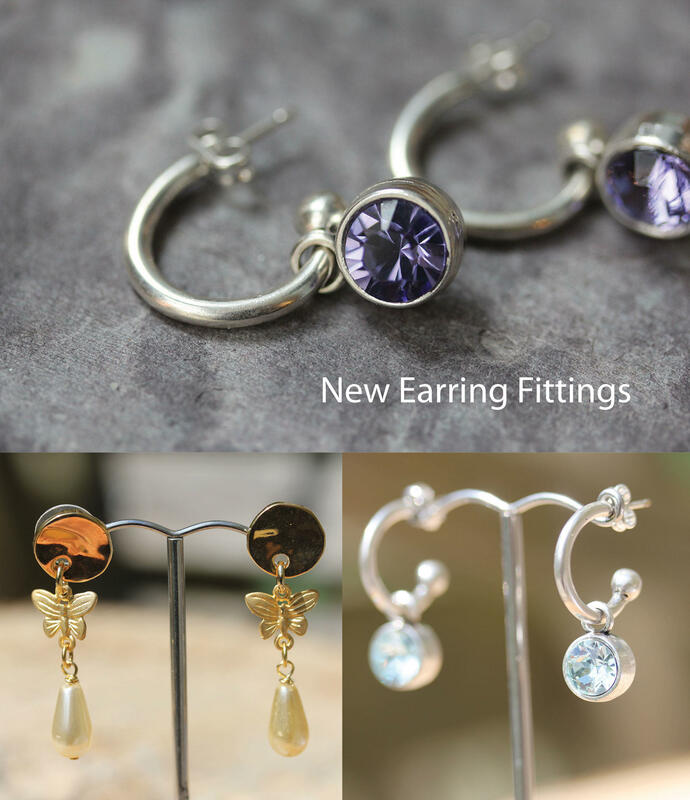 Arrived from Spain we have two styles of new Earring Fittings for your bead jewellery. Firstly, available in gold and silver finishes we have the Coin style fitting with a hole at the bottom for you to drop your favourite beads or charms. They are supplied with butterfly earring backs too! A Really professional finish to your bead jewellery! We also have a Silver Hoop Earring fitting supplied with butterfly to hang a bead or charm from. Simple but effective styling. Both available for a limited time from Bijoux Beads whilst stock last.